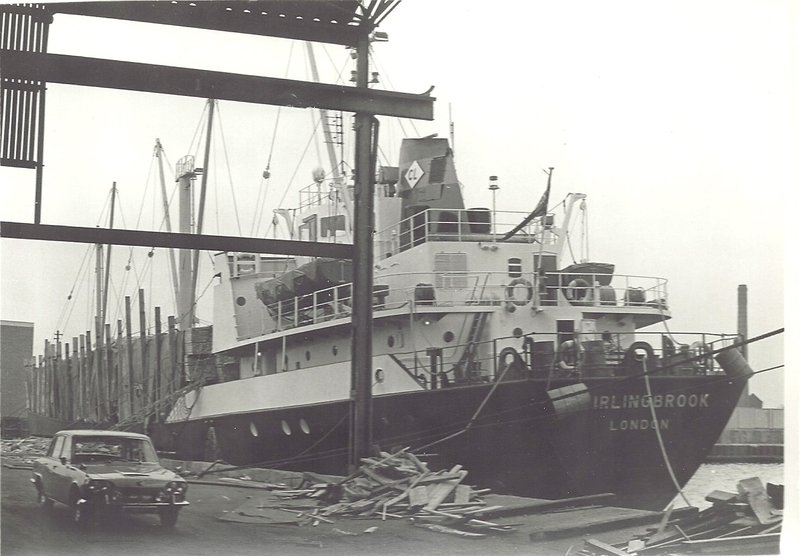 The Comben Longstaff ship IRLINGBROOK in Tilbury in about 1973. This was actually the motor vessel STIRLINGBROOK, which was built in 1970, 1597 tons gross, 2957 tons deadweight, and owned by County Ships Ltd. Its manager was Comben Longstaff & Co Ltd, of London, which later became part of the F T Everard group. When Jack took the photo of this ship in 1973, it had arrived with the timber cargo from Varberg, Sweden.